Let us take a look at these Bollywood’s leading ladies who always had a thing for handsome international cricketers sweating it on the pitch, but never got hitched! 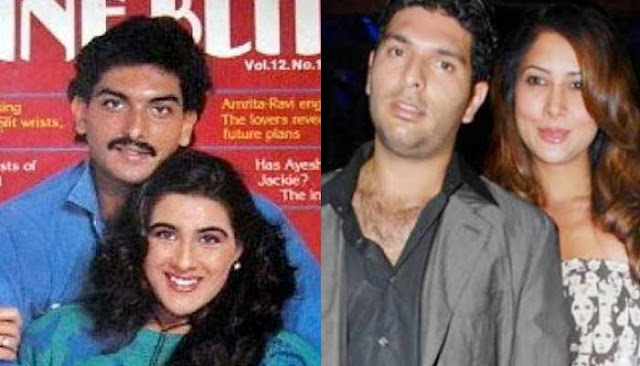 Yuvi has always known to be a charmer amongst ladies. Even Bollywood beauties like Kim Sharma and Deepika Padukone could not help, but fall to his lovely ways. 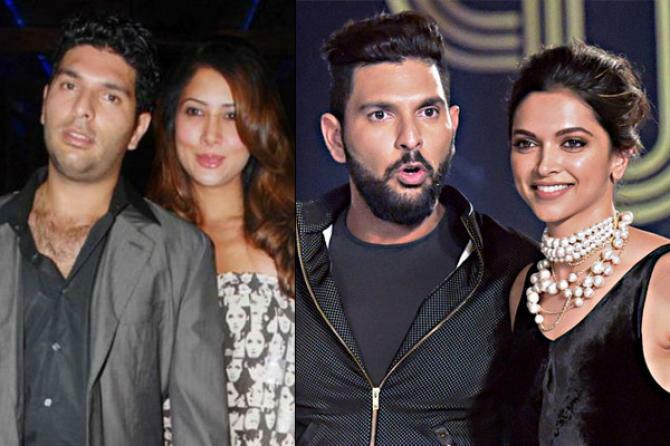 While Yuvraj was maintaining his ‘just good friends’ stance, one could simply not ignore his great chemistry with these actresses. While his relationship with Kim was steady and long (sadly it did not go anywhere), it was fairly short-lived with Deepika. However, the sizzle in the both love stories fizzled out. And today, Deepika is happy in the company of her 'lucky boy' Ranveer Singh. On the other hand, Kim married businessman Ali Punjani and moved to Kenya. Considered to be one of the steadiest romances of the ‘cricket pitch-tinsel town’ alliance, this 8-year-long relationship too faced its share of ups and downs. People around the couple kind of took it for granted that tying the knot would be the next logical step for them. So, it came as a shock when the duo announced that they are not getting married, but are separating instead! Both of them have moved on in their respective lives and the cricketer is now engaged to Chak De India actress Sagarika Ghatge. 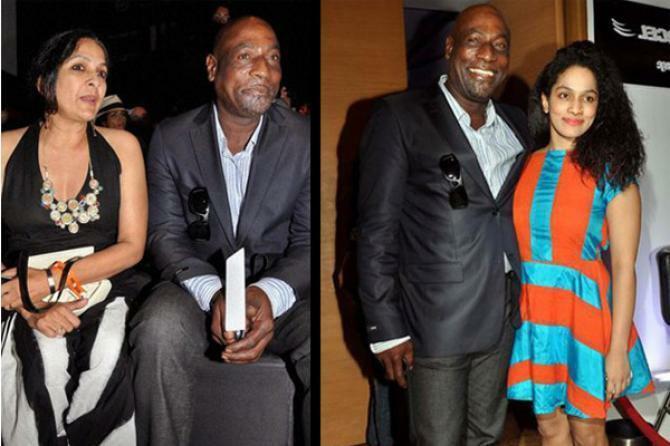 One of the legends in International cricket, Sir Viv Richards, and Bollywood actress and theatre person, Neena Gupta, shared an unconventional relationship. They were secretly involved with each other even though he was married at that time. The Indian actress fell in love with West Indies cricketer, and what followed was a series of gossips and rumours. Even though Neena and Vivian never tied the knot, they maintained a serious relationship for the brief period of time that they were together. And, next came the news of the birth of their daughter Masaba, who stays with her mom. Thanks to his cricketing strokes doing good on the pitch and also his dashing looks, Ravi was already a darling amongst the masses. Bollywood actress Amrita too was slowly finding her foothold in the film industry during the late 80s. They painted the town red when they candidly confessed their feelings for each other in front of the camera. 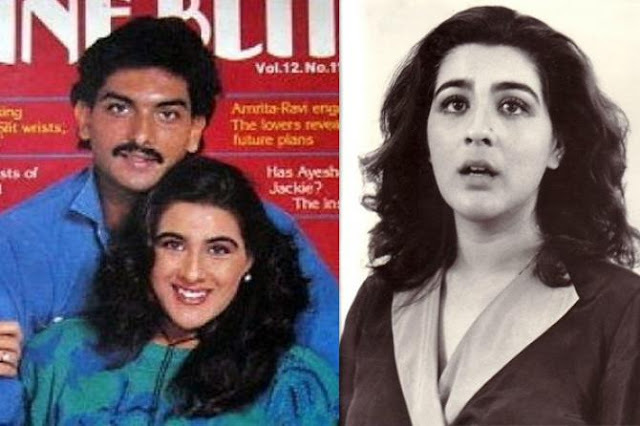 But unfortunately, their romance was short-lived, when Ravi married Ritu in 1990, and a few years later Amrita got married to actor Saif Ali Khan. This is one of the relationships that garnered a lot of media and fan gaze. With media attention starting to take a toll on Sourav’s flourishing career, he ended his choti si love story by marrying his present wife Dona. While Sourav maintained a 'No Comments' stance on this personal issue, Nagma went on speaking publicly that there was indeed something on between her and the Prince of Kolkata. The story obviously did not have a happy ending. 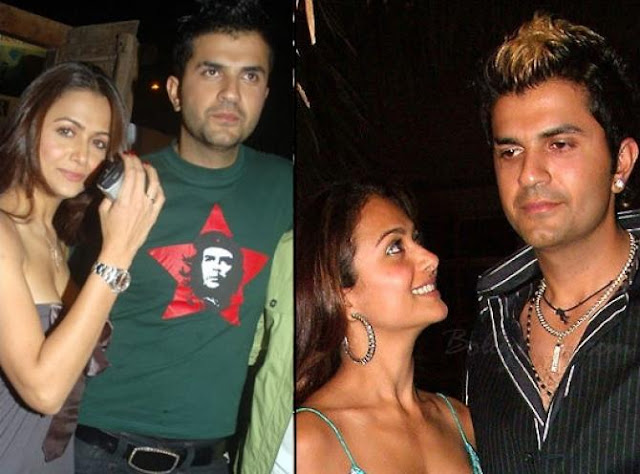 Amrita Arora, who is now happily married to Shakeel Ladak, too has footprints of a love story in the past. She was once in love with the England-based cricketer Usman Afzal. The duo met at a common friend's party and hit it off instantly. Usman became a regular at various functions of the Khan-daan (her then brother-in-law Arbaaz Khan's) and was by Amu's side whenever she needed him. However, after being together for more than a year, the duo decided to go separate ways for reasons best known to them. We know that both, the news of hitman dating Sofia Hayat and she having done Bollywood movies are shocking to you. Well, so were they for us! So, it was back in 2012 Sofia revealed that she had dated Rohit and that it was over! While she did not give the exact reason behind their breakup, she said that “she was looking for a gentleman this time”.